When it comes to members of the MacGyver Hall of Fame, John Considine is a sure fire first ballot inductee. He holds a unique place in the MacGyver universe for his combination of acting and writing: he appeared as an actor in 3 episodes and wrote 4 (including the classic "Good Knight MacGyver" two-parter), and he also wrote the "Trail to Doomsday" tv movie. A Hollywood veteran, he has over 100 credits to his name going back to the 1940's, and he's also written two books (more on those below). I was thrilled to get a chance to ask him a few questions about his MacGyver experience and grateful for his detailed responses. NS: How did you first get involved with the show? Do you remember anything about the audition process? JC: I was asked (as an actor) to do a part in a show, I think it was "Log Jam," and while shooting the episode, Mike Greenburg, producer of the show and a former friend who also knew me as a writer and had read and admired a script of mine when he was a producer for George Englund Productions, asked me if I would ever be interested in writing for MacGyver. I, of course, said yes, and he proceeded to set up a pitch meeting with the executive producer of the show, Steve Downing. Now, I must ask you to get hold of a copy of my 2012 memoir, Improvising, My Life & Show Business: the reason being, I devoted an entire chapter to MacGyver experiences, especially my very first pitch meeting with Steve Downing, which I called, "the worst pitch session in the history of television" or something close to that. The book’s on Amazon, both in book form or Kindle, and I think you’ll feel the extensive MacGyver material is worth the effort. Editor's note: Here's a link to John's book. I just bought it myself! NS: "Log Jam" is one of my favorite episodes (#9 on my updated list). Do you have any good stories or memories of working on it? JC: The only thing I remember from "Log Jam" was the questionable choice I made to play the part with a cigar hanging out of my mouth. I was a non smoker by then, and the size and taste of those cigars were almost too much for me. After the first day’s rushes, I got a memo from Steve Downing through the director asking me PLEASE to ditch the cigars! Apparently, they could see both my inexperience and my distaste for them, and neither condition was helping my performance. I was more than glad to obey. NS: You wrote and starred in "There But For The Grace" which dealt with the issue of homelessness. Where did you get the idea for that episode? JC: "There but for the Grace" remains my favorite episodic experience on MacGyver. Homelessness was a growing condition in our society at that time, and it just seemed that it might be a rich world to mine for an episode and an interesting situation in which to have MacGyver go underground in. To make it even more fun for me, I literally wrote the part for a dear friend and wonderful actor, Nick Coster, and after an audition he landed it, and I think, delivered one of the finest guest performances in the show’s history. That’s how the show originated, and the shooting of it was nothing but enjoyable. I’m proud of that one, in great part due to Nick’s amazing performance. I think Rick enjoyed it greatly as well. NS: You wrote "Blind Faith," a powerful, intense episode that deals with Pete’s glaucoma which mirrored Dana Elcar’s real life condition. Whose idea was it to work Dana’s condition into the story, and what was it like working with him on that episode? JC: Steve Downing, the Executive Producer of MacGyver, really loved the "There But for the Grace" episode that I wrote and personally asked me to write an episode dealing with Pete’s glaucoma, because at the time it was getting more and more difficult for Dana Elcar to play his part due to his declining sight. So, I came up with the idea and title and was given the green light to write the episode. It gave me a great opportunity to get to know Dana better, as I was on the set much of the time. He told me he had taken a lengthy boating trip and had left his glaucoma medication behind, and that that trip without medication caused him to go blind. So, it seemed we could do a public service by mentioning the dangers of not taking the medication for that condition as a part of the script. It made it very personal for Dana to play, and I think, deepened the emotion of the episode. Because it was very close to the end of Dana’s part, as he could no longer see, it was becoming impossible to have him move away from his desk. Rick loved Dana, and it was very sad for him to see his relationship with Dana ending in such a devastating way. But Dana Elcar was an amazing fellow. He took his blindness in stride and never complained. We had some good times together after his time on the show was completed, and I visited him at his home. A lovely guy, fine actor, beautiful human being. 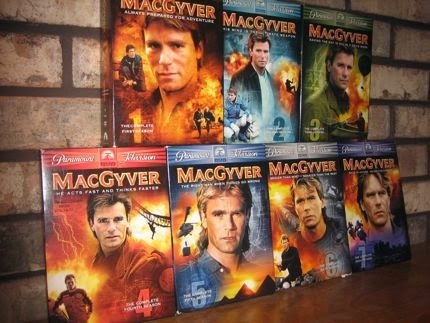 NS: The "Good Knight MacGyver" two-parter which you wrote is another one of my all time favorites (#6 on my list). I feel like it’s the most creative plot in the series, and the whole episode is so clever and tied together beautifully (and is helped by the great Ken Harrison medieval score). What inspired you to write this episode and what else do you remember about it? JC: "Good Knight MacGyver" was Steve Downing’s favorite episode of the show. He told me that, which I considered a lovely compliment, at the Wrap Party for the show when it went off the air. My youngest son, David, was a frequent attendee of the Medieval Fairs in which everyone dresses in the time and style and all events, even the concessions, mirror that particular time period, and it occurred to me that one of those fairs would be a great place for MacGyver to attend and inadvertently be knocked unconscious, thus allowing us to do a show where he travels back in time and performs MacGyverisms that will shock the Medieval Magicians. Well, as soon as I got that rich playground for ideas, the show grew and grew in my mind and it became a two-parter (which at the time, they were NOT doing any more). But Steve loved this one so much, he gave the go ahead for both parts, and I had a ball working with our technical expert, John Potter, on all the devices he could come up with… and it was great fun for him… that MacGyver could make from the materials that would be at hand during that age. It became a hugely imaginative chore for John, and he was brilliant at it. Everyone who worked on that episode loved being able to go back in time and play parts that were very 'far out' for the MacGyver show. It was a treasure trove of fun ideas writing it. I probably could have made it a THREE PARTER, if they would have allowed me to. NS: The scene where MacGyver learns his name is one of the best scenes in the series, in my opinion. The buildup was amazing (the audience knew it was coming but had to wait until the end of Part 2) and I remember being beyond excited when I watched it as a kid. It was also fantastic how it was done, with MacGyver using a mirror to read the message on the prison wall and also the link to the ancestors. Where did the decision come from to reveal MacGyver’s name, and what do you remember about this moment? I saw an interview where RDA said he saw "Angus" at a policeman’s ball years earlier and knew that was the name for MacGyver. JC: The decision to reveal MacGyver’s name in the episode came directly from Steve Downing, the Executive Producer. And it was given to me with instructions to keep it absolutely secret, even to members of the crew and cast. All drafts of my script stopped short of actually writing the name of Angus. When the name was to be revealed, I just left a space in each script. It worked out perfectly, as both cast and crew loved it when during the shoot, it was revealed. And that day, EVERYONE was calling Rick Angus. NS: What do you remember about "Off the Wall?" You play a somewhat sleazy apartment building owner who ends up doing right in the end. JC: Frankly, I have little or no memory of "Off the Wall," except that it would be my very last episode of MacGyver. I do remember that the show had pulled up its roots in Vancouver, B.C. and migrated down to the Paramount lot in Los Angeles, so the setting for the show was not nearly as fun or splendid (the outdoor settings available in Vancouver seemed endlessly beautiful) as those in Canada. It was actually a bit depressing, the mood on the set for that episode, knowing that all those wonderful years and experiences were coming to an end. NS: I really liked the tv movie Trail to Doomsday (I had seen it recently for what seemed like the first time). It had a different feel (which I liked) than previous MacGyvers – dark and gritty in a new locale. What were you going for when writing this script? JC: "Trail to Doomsday" was another compliment given to me by the show. After the show ended, Paramount was going to make 2 TV MacGyver movies and then call it quits. Mike Greenburg was to co-produce them with Rick, and he asked me to write one of them. I was given explicit instructions to make it an 'adult' MacGyver, a bit grittier and sexier than the show, I suppose to satisfy late night TV viewers. And so I did what they asked. The show’s long time Executive Producer Steve Downing who had become a close friend of mine did not like the movie at all. He felt it was too far outside of the MacGyver franchise in just those areas that I was asked to go outside of. And I couldn’t disagree with that. Steve thought the thematic emphasis on non violence (MacGyver never carried a weapon) and ingenuity was lost in trying to make it adult-themed. But, as he knew well, when you are hired as a TV writer, you essentially are hired to 'ride shotgun' for your producers, and to do their bidding to the best of your ability. NS:What was RDA like to work with? JC: RDA was a dream to work with. Fun, funny, very capable, and seemingly inexhaustible. His part in every episode was full of difficult physical stunts and action, and during the years, he sustained many injuries in the course of his performances. I always thought he had an undiscovered talent for comedy, and I tried to utilize that when I became story editor for the first show he did after MacGyver, a short lived (12 episode) show called Legend. It didn’t last long, but we had a ton of fun! NS: What are you up to now? JC: I’m retired from show business now. I did my last play and performance as an actor last year in David Mamet’s, "A Life in the Theater", and my writing these days is just for me. In 2012 I wrote a memoir called "Improvising, My Life & Show Business" and the next year, 2013, my first novel, "A War." Both books are on Amazon, both soft cover and Kindle, and I hope you will avail yourself of them. The memoir has a LOT of material from my amazing and wonderful experiences on MacGyver. Editor's Note: Here's a link to John's novel, "A War." Great interview. Considine always made for a great villain and it was a double blessing that his writing background landed him a more permanent gig on "MacGyver". His memoir talking about his experiences on the series would most likely be a great read too. In one sense it's hard to envision his Foxworth character walking around smoking a cigar in every scene but as over the top as the villains were in "Log Jam" I could actually see it working. I also thought Nick Coster gave a great performance in "There but for the Grace" and liked Considine's treatment of the homeless issue in that script. It's actually the first time I heard about Dana Elcar losing so much of his vision on that boating trip where he forgot to take his medicine. I'm guessing that happened at some point in the middle of season 6. Considine's script for "Good Knight, MacGyver" was fantastic and it's interesting to hear how the concept stoked his creative juices and came so naturally for him. I wouldn't think it would happen often that a writer talks the production crew into letting him turn an episode into a two-parter, although I think it's wise Considine didn't push his luck and go for a three-parter. I saw David Considine's name in the credits and figured he was likely John's son. Great context that he was a Medieval Fairs attendee and inspired John's story idea. I had heard that RDA came up with the name based on seeing "Angus" written somewhere but it's amusing that Downing even wanted to keep the crew in the dark about the revelation during the episode's filming. "Off the Wall" was the last Monday night "MacGyver" episode before the show's hiatus so I have an emotional attachment to it, but I can imagine the combination of the dull Paramount lot set and the fact that the series' end was so near made it a little depressing to film compared to the wide-open spaces of Vancouver. Interesting that Steve Downing hated "Trail to Doomsday" and actually said so to Considine who wrote it. I wonder who specifically instructed him to do an "adult MacGyver"....I'm guessing either Mike Greenburg or RDA personally, or both. Sounds like it wasn't a favorite of Considine's either. No surprise that Considine found RDA great to work with. I knew he worked with Downing on "Robocop: The Series" and "FX: The Series" but wasn't aware that he worked with RDA on "Legend" as well. John's novel got very strong reviews on Amazon. He was a skilled writer so no surprise. Very glad you were able to get this interview and thanks again for the effort. Thanks for reading and commenting as always. I thought Downing's idea to keep the name secret from the cast and crew was really neat and must have been a ton of fun for everyone on set. And given that Trail to Doomsday has mixed reviews among fans, I guess it follows that even some of the behind-the-scenes people including Considine himself weren't wild about it. And I also didn't know that he worked on Legend. I was always a big fan of his. Awesome actor with a strong presence and great voice, and when I watched MacGyver as a kid I had no idea he was an episode writer also. Thanks for another interesting interview. Always good to get the inside info especially about 'Trail to Doomsday'and sad to hear that Dana Elcar's sight deteriorated so much through missing his medication. I hadn't realised Considine worked on 'Legend' either -I'm planning to give the series a go when the DVD comes out (quite soon) having only seen one, almost unwatchably grainy episode on You Tube. Always good to have it confirmed, yet again, how great RDA was to work with and how dedicated he was to his role. Spoiler alert! 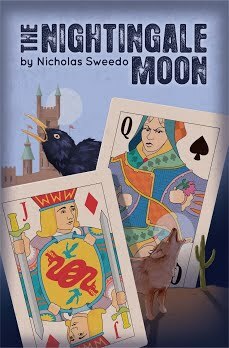 I may be reviewing Legend fairly soon on this blog, so it'd be great to have you along for the ride!